This is a conversation I've been wanting to have for a while. Online cliques. The scene - behind the scenes, inside hearts - my heart. What's it like to be a small fish in a big pond, or to jump out of the pond altogether? 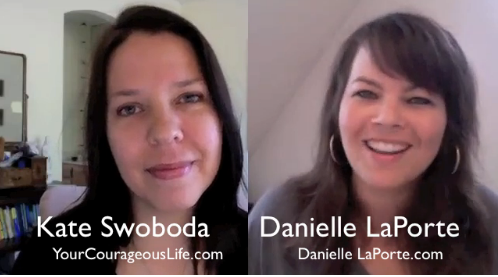 I was checking out Kate Courageous' (aka, Kate Swoboda's), new program The Coaching Blueprint. - which launches this week, and we got to talking about this sensitive - so full of mis-perceptions, and hard truths, and good intentions. This is a juicy conversation. Let it play. Click on the image below to watch the full interview over at Your Courageous Life. And check out The Coaching Blueprint for all the nuts + bolts behind creating a coaching practice that wraps money, success, and your truest calling all up into one. Quality Q' n Play: Thinking about how you value... you.